Are you looking for a free BBQ catering menu template? Great! You have come to the right place. In my last post I talked about using Publisher to create your restaurant menu. However, this template was made using Adobe’s InDesign. The first thing you will need to do is download the template from our downloads section. Don’t worry it won’t cost you anything. This menu as a woodgrain background on the cover and some light texture on the inner pages. It consists of 8 pages (including front and back covers) however you could easily delete or add more to it if you needed to make changes. It is full of pictures which you can switch out with your own. It also has many different sub sections for your different menu categories. These are great for different categories or even different packages that you offer for your catering services. 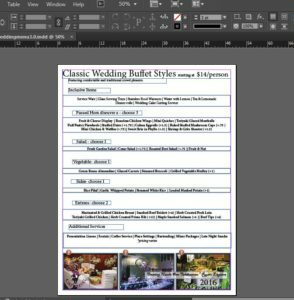 To edit this bbq catering menu template you will need access to Adobe’s InDesign program. If you don’t have this program don’t worry, they offer a free 30 day trial. 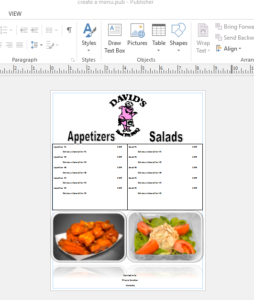 Once you have made all the changes you would like to this bbq catering menu template you will then need to print is as a PDF and send it to your local printer. The template is set up to bleed and be folded down into a 5.5” x 8.5” booklet. This style has worked well for us over the years. It allows you to have multiple sections on each page and each spread can be a separate category of the menu. For example, the first 2 inner pages (spread) of this template consist of our family and party packs. The next two pages talk about our full service catering. The next two talk about our breakfast and pages 7 & 8 are the front and back covers of course. Please help yourself to this FREE bbq catering menu template and let us know how it works for you in the comment section below. Feel free to email us as well if you are interested in seeing other types of templates for download. If it did work well, you could help support our cause by purchasing our e-book. It is full of helpful techniques and strategies for using catering & direct marketing techniques to grow your sales! Another helpful post here! I love how you’re making it really easy for visitors to access the other great resources you have right here in the site. And it’s great to see you’re offering an eBook as well. Thanks Kevin, the ebook is a little over 70 pages and packed with useful information for restaurants! Wow, this is very convenient and simple-to-use for my friend since he’s about to open a restaurant and he can’t find any good design yet. He can figure out the menu layout himself. What’s more, it won’t cost him any for his first trial. Thanks for introducing. I will share it to him! Absolutely Harry, let your friend know about our ebook, it has just about everything he needs to get his marketing started. Plus, it’s only $5.99! This menu looks great! It looks like you have worked really hard on these. Thanks for offering this for free! Very good looking template! I don’t really have enough free time for designing, so templates like these come in handy. In truth, I’m even more impressed that it’s free. I’ll definitely take advantage of this opportunity. Thanks for the template Jeremy! I hope to see more of your designs! You’re welcome Makki, I will let you know when we post more templates! Jeremy, nice job and an informative post. Thanks for taking the time to share. Can I use this template if I am not in the catering world? Cheers. Absolutely Josephine, this is basic template for an 8 page (half page) booklet. Simply fill it out with your content and get it printed! Firstly I have to applaud you for the free download of the template. I admire your confidence in your products, I mean you give away your hard work to show people that you stand behind it 100% and then you say if it worked well please support us. That’s some real confidence. Who would not support you. Congratulations on a job well done. This is what you readers want. If you are confident in your product your readers will be too. Thanks Helen, I’m glad you can see the value in this template! Your posts, site and wealth of information on bbqs, weddings, catering and menus! All I can say is I love it all! Thank You, Thank You! Thanks Cary, yes we love catering! 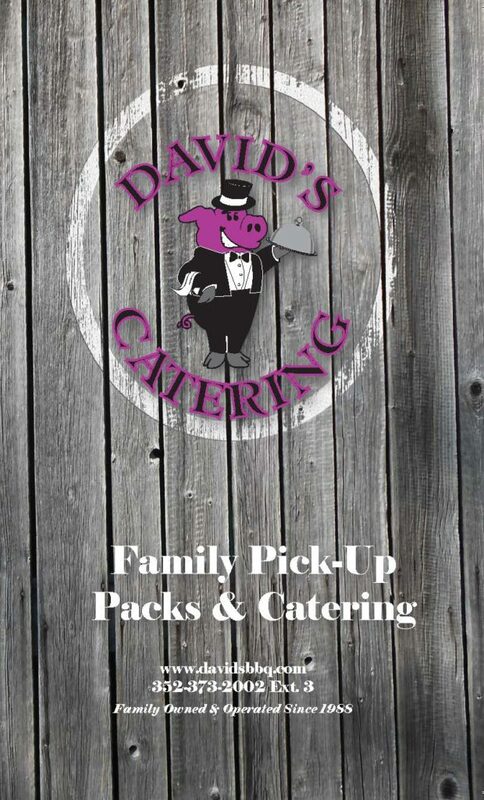 All kinds from BBQ to weddings, and we love helping others which is why we have offered this free download of a BBQ catering menu template. You are a very courteous man to give away your templates for free and not to forget the ebook as well. The menu looks very nice. Thank you so much to offer this for free. Keep up the good work. Thanks Jed, I’m glad you see value in the free BBQ catering menu template. The eBook is also filled with tons of great information in regards to using catering and direct marketing to grow restaurant sales.